Cirrus combines the warmth to weight benefits of down with the wet-weather performance of synthetics, including rapid dry times that allow the insulating fibres to recover quickly, creating the perfect option for warm layering in cold, damp, changeable conditions. 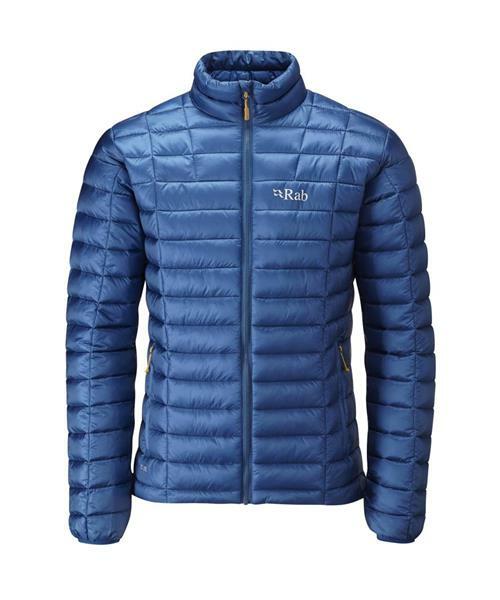 Rab's new Altus jacket is the latest incarnation in their Cirrus range; lightweight with a slim fit, elasticated cuffs and a durable Pertex® Quantum fabric. The Altus is a streamlined alternative to the Nebula and Nimbus, and with the rapid dry times provided by Cirrus will withstand sleet, snow and sideways rain during the winter months.